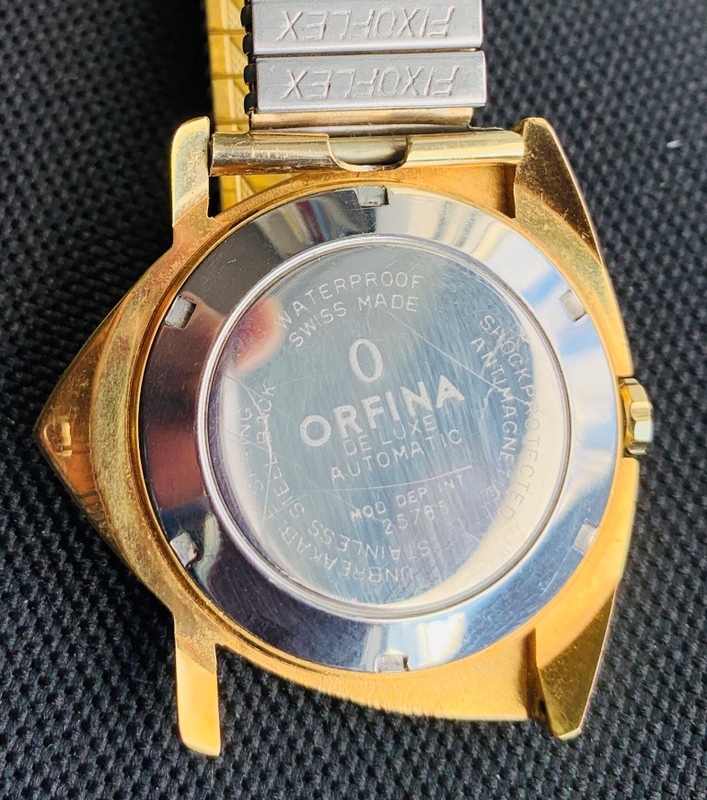 Unusual Asymmetric Orfina De Luxe 41 jewels wristwatch circa 1960 with automatic ETA cal 2452 movement. 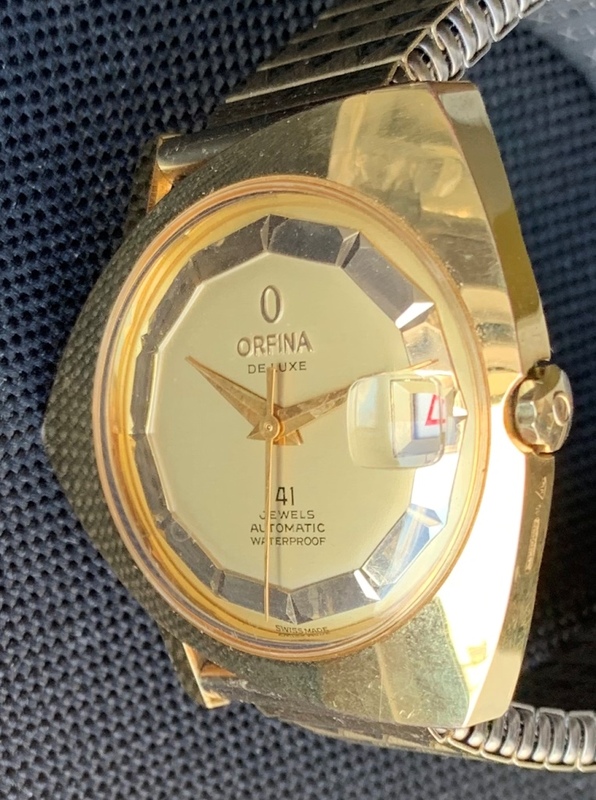 Orfina is a Swiss company, in operation since 1922. 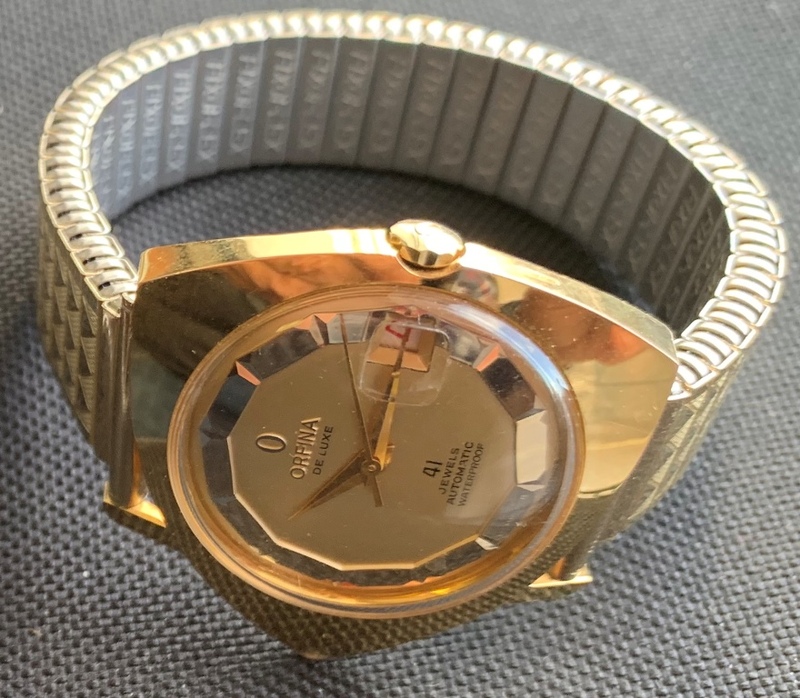 This is a new old stock watch, there are a few small surface scratches on the bottom right corner which are not very apparent. 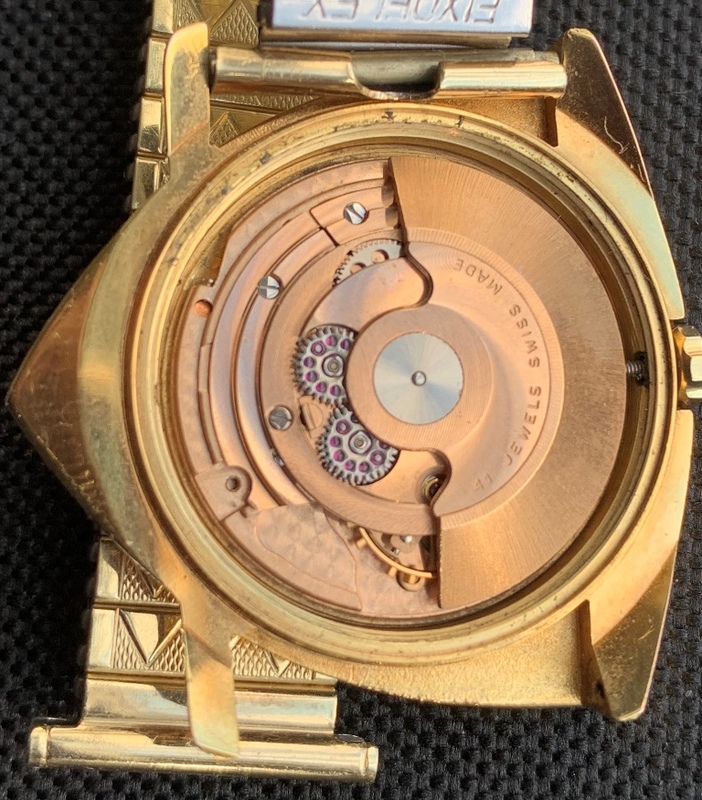 Photos are magnified and show details not seen by naked eye, the case measures 38 mm across (not including crown) x 38 mm lug to lug and is fit as found on an expansion bracelet.